High-tech equipment for the most ambitious project in automobile history. 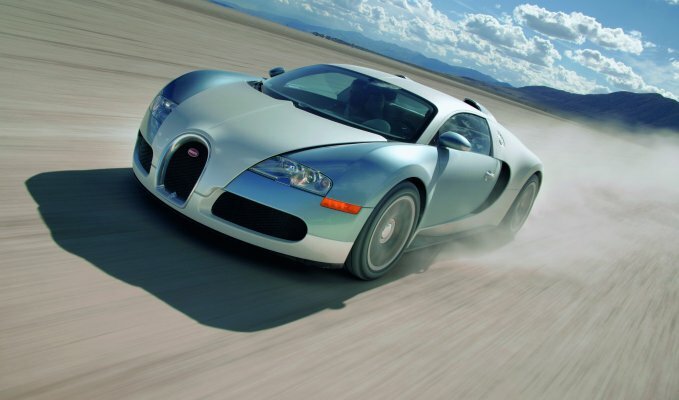 Maximum safety for driver and passenger in every driving situation and unique driving dynamics were the essential development goals for the exceptional sportscar, the Bugatti Veyron 16.4. 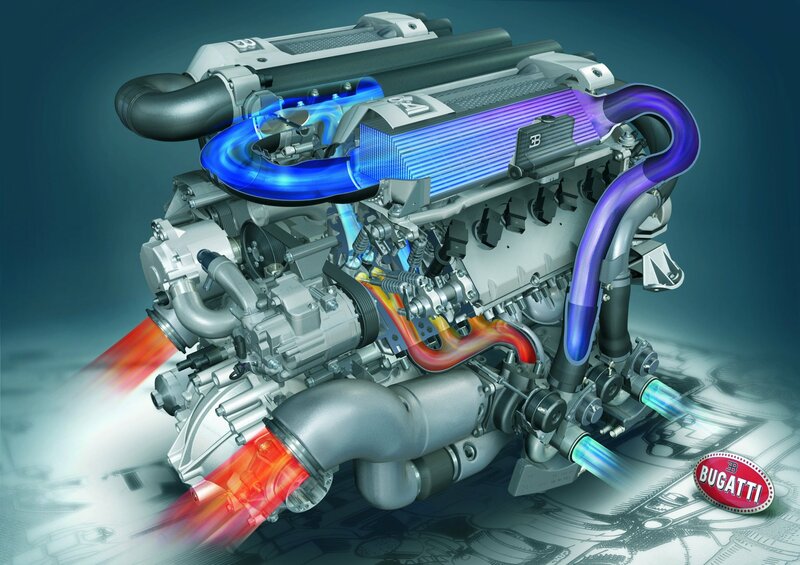 To achieve them, the Bugatti development engineers under Dr. Wolfgang Schreiber drew on the latest knowledge gained from the premier class in motor sport. The most innovative solutions in contemporary automobile construction were adapted. 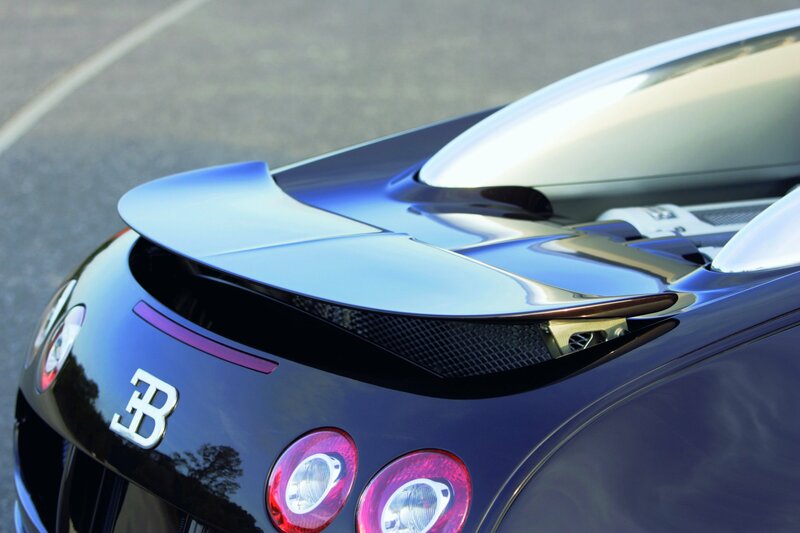 The new Bugatti Veyron 16.4 is a classic example of an optimum combination of structural rigidity and lightweight construction. The survival cell for two persons consists of extremely strong, but feather-light carbon fibre. It is designed as a monocoque construction and is the central element in the vehicle‘s structure. It is connected at the front to a lightweight aluminium frame. Mounted above at the rear are carbon fibre side members. Below is a steel frame which holds the W16-cylinder engine. The external features at the rear consist of aluminium sheeting and also function as so-called crash boxes. 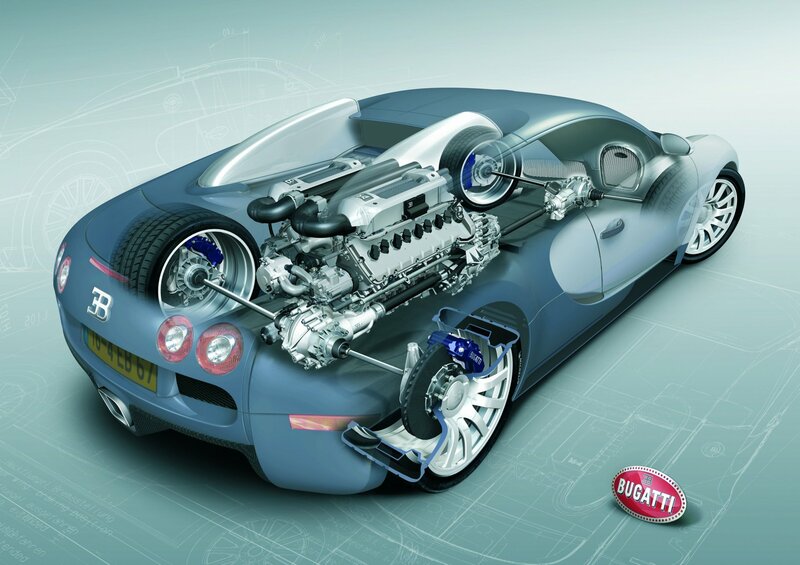 This sports coupé with a top speed over 400 km/h is powered by a 16-cylinder engine with a cylinder capacity of 8.0 litres and four turbochargers, which owes its compact dimensions to the unique array of its cylinder banks in a W configuration. The power unit produces 1,001 hp at 6,000 rpm and supplies a maximum torque of 1,250 newton metres between 2,200 and 5,500 rpm. 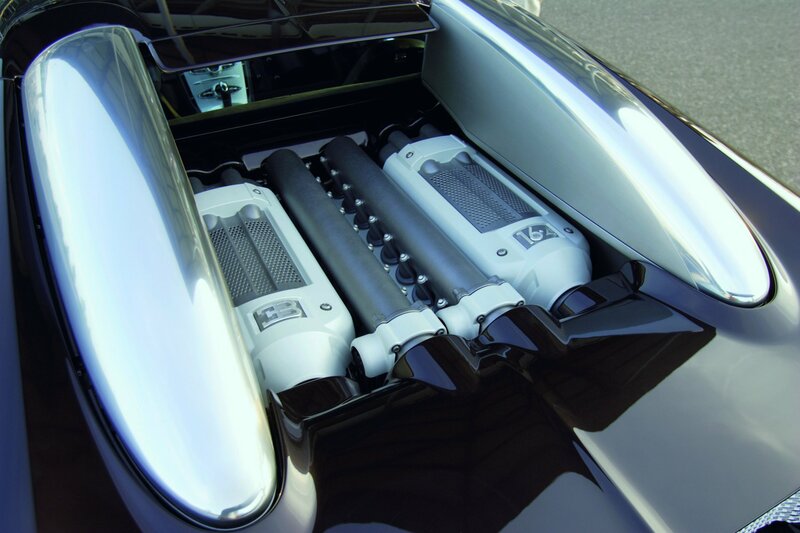 The enormous power is portioned out by the world‘s “fastest” gearbox, a direct shift DSG unit with seven forward gears and a dual clutch, exclusively developed for the all-wheel drive Bugatti Veyron 16.4. It is distinguished by its unequalled short shift times and lack of traction interruption. Optimum power distribution between the front and rear axles is provided by a Haldex clutch integrated behind the front axle differential. The rear axle differential has a multiple disk lock. Using technical know-how from the aerospace sector, the braking system realised for the fastest series automobile of all time itself sets new standards with its unique deceleration values. It consists of a highperformance brake unit generating up to 180 bar brake pressure with carbon fibre disks and eight-cylinder monoblock brake callipers. Their titanium pistons have a stainless-steel crown with ceramic heat shielding. For braking from speed ranges above 200 km/h, the tail wing functions as an airbrake for a further increase in braking performance. For this purpose, the wing is set at an angle of 113 degrees in less than 0.4 seconds. The downthrust over the tail immediately rises to about 300 kg, permitting higher braking moments on the rear tyres. 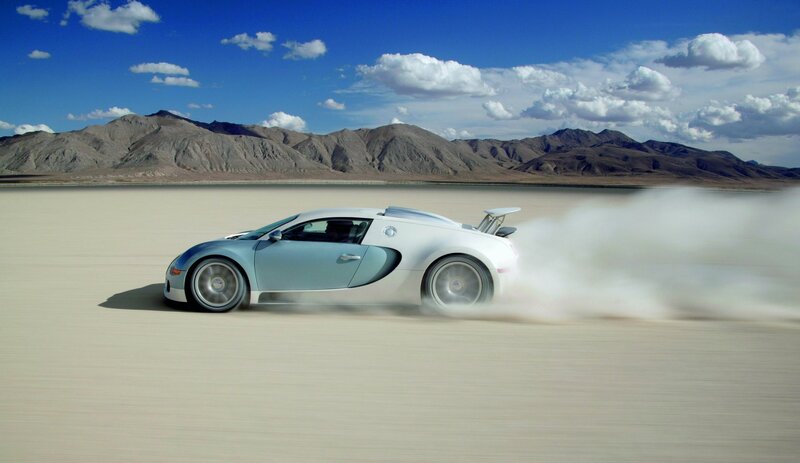 Full braking from 400 km/h brings the Bugatti Veyron 16.4 to a halt in less than 10 seconds. The very high handling requirements of this exceptional sportscar are supported by a complex control installation of aerodynamic assistance systems. These solve conflicts of purpose arising from the simultaneous desire for low air resistance to achieve higher speeds, adequate downthrust for good road-holding and the most favourable airflow to the high-performance aggregates for optimum cooling. The heart of the control equipment is a computer-controlled hydraulic system that regulates the road clearance of the sports coupé. 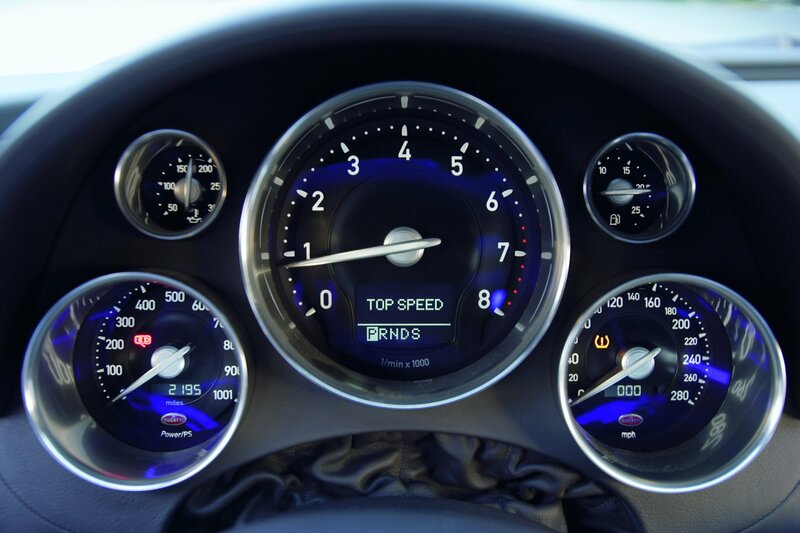 There are three speed-dependent level settings. In addition, two actively controlled diffusor flaps in the front underbody increase the downthrust over the front axle. The same effect is achieved at the rear by venturis in the underbody and the tail wing. The normal driving level, with tail wing and spoilers lying flush with the bodywork, is maintained up to 220 km/h. Above this speed, the bodywork is automatically lowered and the tail wing and spoilers are deployed. In this “handling setting”, the diffusor flaps remain open. Higher downthrust forces are generated. 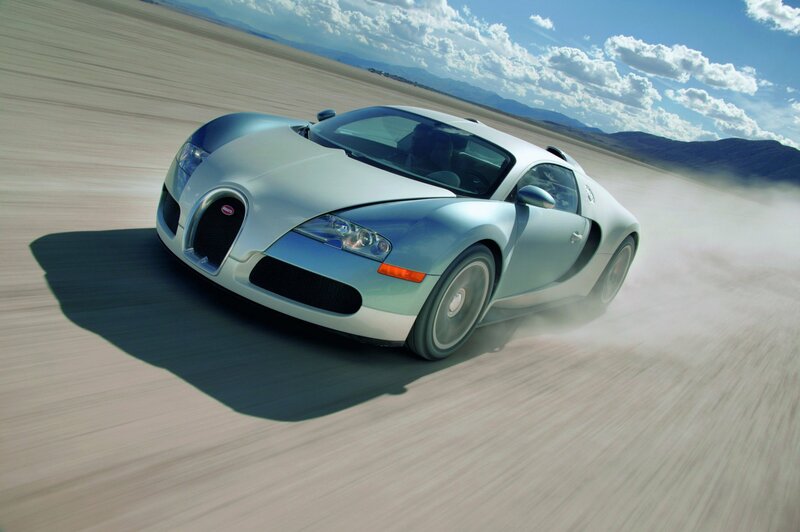 The decision to drive the Bugatti Veyron 16.4 in the speed range above 375 km/h is made by the driver after a thorough review of the safety situation. 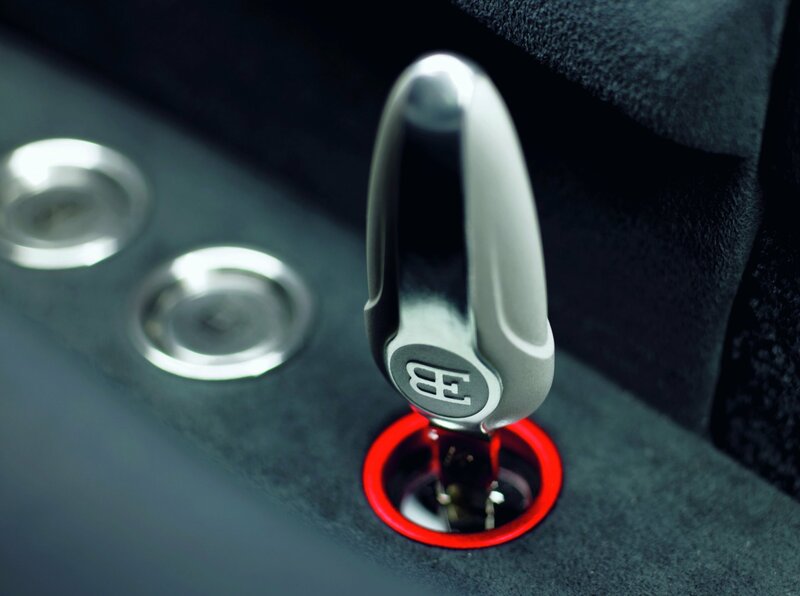 With a second key in the cylinder to the left of the driver‘s seat, he can grant authorisation for access to the top speed in excess of 400 km/h. As a complement to the extraordinary complexity of the Bugatti Veyron 16.4, the interior has an appearance of clarity and all the instruments can be operated intuitively. Fine materials and accentuated surfaces show their inspiration in historic Bugatti automobiles. The driver’s workplace follows state-of-the-art ergonomic principles and is designed to be driver-centred. In his field of vision are the large central tachometer, the speedometer on the right and a new type of engine performance indicator on the left. This indicates the current engine performance in horsepower in steps of 100 up to 1,000. Invisible to the occupants are numerous technical innovations which might be said to be on a second operative level. These are unique in series automobile construction and support the intelligent lightweight construction and the complex safety functions. The electrical system includes a total of 2.7 kilometres of cable, sheathed in very strong and extremely light glass fibre. This weighs only five kilograms and carries the communications of 26 control units. The new Bugatti Veyron 16.4 is fitted as standard with a PDA (Personal Digital Assistant), which can load vehicle data through a Bluetooth interface and, for example, can forward security-relevant data automatically via a GSM mobile phone network.